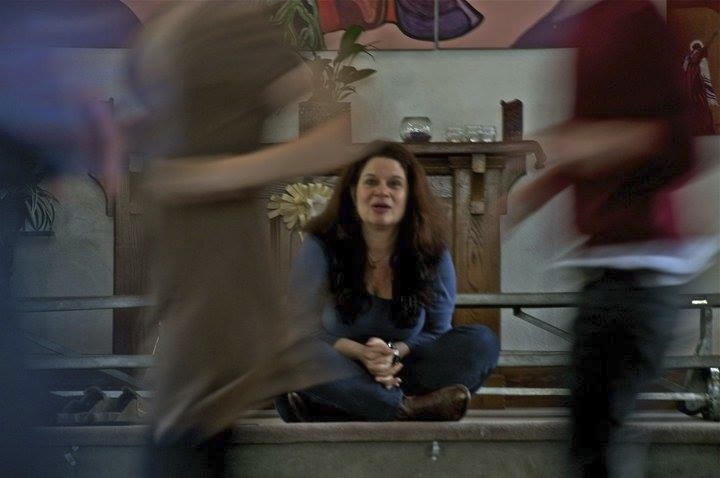 Jessica Litwak, Registered Drama Therapist, offers intensive workshops in Drama Therapy with skills in sociodrama, psychodrama, Playback, Forum Theatre, Viewpoints and the Voice Progression. She also leads groups, specializing in trauma survivors, addictions, women who have experienced domestic violence, and youth. Drama and ritual have been used throughout human history to promote healing, awareness and empowerment at the personal and collective level. Drama Therapy is an experiential psychotherapy that supports health and resilience for individuals, families and groups. Through the use of role-play, ritual, improvised enactment and other action methods, drama therapy helps to develop spontaneity and creativity, insight and awareness. When used by trained clinicians, drama therapy offers a safe and effective method through which to explore and transform the burden of accumulated stressors and traumatic experience. Through drama therapy participants are able to experiment with new roles, behaviors and specific actions that enable innovative and empowered responses to internal conflicts and real life circumstances.